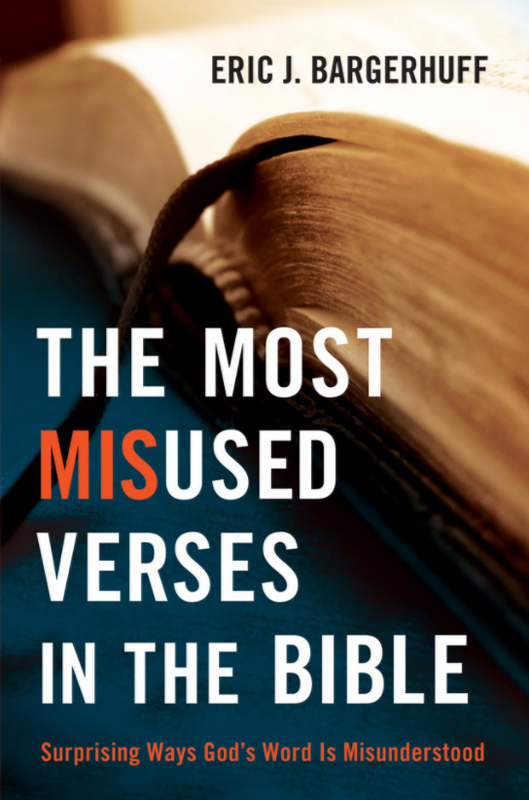 In this book, Eric Bargerhuff takes on 17 Bible verses that are commonly taken out of their original grammatical, literary and historical context, or interpreted in isolation from the rest of Scripture. For example, he discusses Philippians 4:13; in that verse, Paul is not saying he can do anything he wants; he is saying he can do the things he has mentioned in verse 12. Another that is misused is Colossians 1:15, which calls Jesus “the image of the invisible God, the firstborn of all creation.” This verse is sometimes used to incorrectly argue that Jesus is a created being. By interweaving illustrations and personal anecdotes in each chapter, Bargerhuff illustrates how people misrepresent a verse. He then explains how the verse might be better understood in the immediate context and as part of the whole story of Scripture.